Research has shown that having the right gut microbes can reduce the risk of heart disease – if you're a mouse. Now, our latest study, published in the European Heart Journal, shows that this might be true for humans, too. Most people know that the risk factors for heart disease are high blood pressure, high cholesterol and smoking. But these factors are not very good at predicting heart disease in younger people, in women and in some ethnic groups. A poor gut microbiome could be the missing risk factor we've been looking for. One of the ways that the risk of heart attack or stroke is assessed is by measuring the hardening of the arteries. This measure, called arterial stiffness, is not strongly associated with high cholesterol or smoking, but it is closely related to inflammation. Inflammation is our body's normal response to injury, but when it is too high, in a way that is not a response to injury, it can cause many diseases, such as arthritis and eczema. Studies have shown that the more inflammation a person has, the higher their risk of heart disease and of having artherosclerotic arteries. Recently, several large clinical studies have shown that inflammation is a key factor in the development of heart disease and stiffening of the arteries. In one study, giving people a drug that reduces inflammation brought down the number of heart attacks in people who had already had one heart attack. It also brought down their risk of cancer. But how can we reduce inflammation without fancy drugs? Avoiding obesity and smoking are a good start, but the good bacteria that live in our gut can also help. 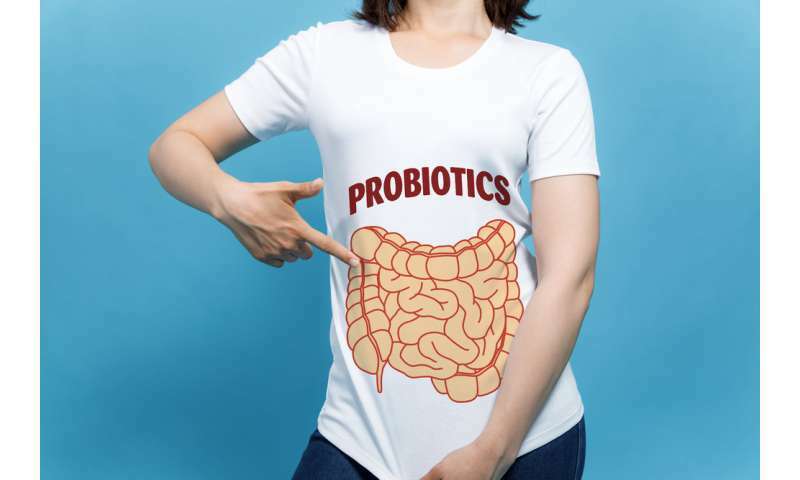 The microbes that live in our gut seem to be important in preventing a number of diseases caused by inflammation such as psoriatic arthritis, diabetes and gut conditions like inflammatory bowel disease. In all of these diseases, it has been found that there is a lack of diversity of healthy gut bacteria, which means there are fewer kinds of microbes. In our study, we found that women with more hardening of the arteries have lower microbial diversity in their gut, and that the women with healthier arteries have more diversity. Not only that, certain beneficial substances produced by microbes were also seen at higher levels in the blood of people with healthier arteries. This substance, indoleproprionic acid, has previously been shown to predict a lower risk of developing diabetes. Bacteria in the gut produce more indoleproprionic acid when a person eats a diet high in fibre. Overall, we found that almost 10% of the amount arterial hardening was explained by the gut microbes and substances produced by the microbes. In comparison, cholesterol levels, smoking, diabetes and middle obesity explained less than 2% of this measure of risk of heart disease. This is very exciting because, unlike genetic risks, which we can't do much about, the microbes in the gut and the substances they produce can be changed. One way to influence the gut microbes is to eat good bacteria. This can be done by eating probiotic foods or supplements, or by having a faecal transplant. This method has worked for diabetes in a pilot study. Scientists gave gut microbes from healthy people to people with diabetes. After a few weeks, the diabetes improved and the microbes in the gut were changed. These type of studies could also be done for heart disease and other conditions. Another way is to change what we eat. The good bacteria in our gut grow better when we eat a diet rich omega-3 (found in fish oil) or in dietary fibre, which is found in fruit and veg and is also particularly high in foods such as wholemeal bread, nuts, oats, beans and dark chocolate. The links between gut microbes and our health are good news because we can do something to increase their diversity.